Because we’ve got to take care of the beach for many summers to come. (SPOT.ph) Don’t you feel lucky to be living in the Philippines, where some of the world’s most beautiful beaches are just a road trip or plane ride away? Let’s make sure it stays that way for future generations to enjoy by taking care of our beaches, right now. Oh, and that perfectly Instagram-worthy split won't look too awesome with garbage on the shore, or if you step on some gooey leftover food when you land. Just eew. Entire cities have banned the use of non-biodegradable plastic products, and the people there have done just fine. Why not try doing the same? Rather than getting a plastic bag for each and every little purchase you make, bring a reusable bag. Also, bring a reusable cup or water bottle with you for your drinks. Say bye to plastic—and don’t forget to throw it out properly! That jewelry box made from tortoise shell might be made out of plastic, or it might be made out of—well, a poor tortoise that suffered to give you a jewelry box. Either way, it’s better not to risk it. Supporting poachers is never a good thing. The guilt is never worth it. Ready to live with the guilt forever? Didn’t think so. Gather up or join other people who care about keeping the beach pristine. Organize shore and reef clean ups as an effective solution for making sure that the beach is still there for generations to come. Keep the beaches clean for your future kiddos to enjoy! 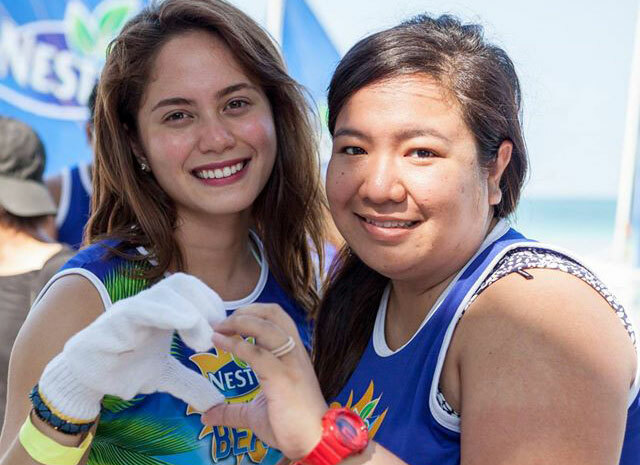 One such group, the NESTEA Love the Beach Squad, spent an entire weekend giving love back to Boracay—a beloved beach destination known all over the world—in the form of a three-part shore clean-up session. Led by NESTEA ambassadors including Jessy Mendiola, Tom Taus, Joyce Pring, Sam YG, and Arisse De Santos, volunteers chillaxed responsibly for a very meaningful summer event. 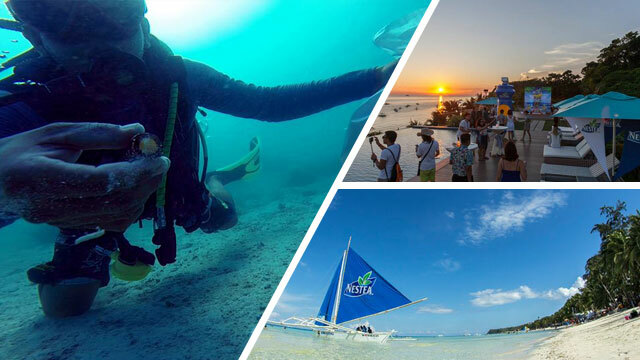 The NESTEA team and NESTEA Love the Beach ambassadors also lent a hand to the Boracay REEFurbishment and Underwater Clean-Up, all for the love of the beach. The group led the charge to sustain efforts to keep Boracay clean and protected for years to come, with the objective of spreading awareness that maintaining the overall well-being of the island is everyone's duty and responsibility. Global warming, pollution, overpopulation, and other factors constantly threaten the state of the natural world. It's because of this that we should all actively protect our home, by pitching in and doing the little things that make a big difference. NESTEA Beach 2016 is in partnership with PLDT Alpha and Smart, Official Connectivity Partner, and Mikasa, The Official Ball of the 19th NESTEA Beach Volley.